The Backstreet Boys returned to the Northwest with a bang last night. A big bang. In a production worthy of a George Lucas sci-fi blockbuster, the teen-pop supergroup entered an asteroid-pelted stage enveloped in stage fog and suited up in black trench coats. On a giant video screen, planet Earth was destroyed by a spectacular meteor shower. Introducing the new song "Everyone" with a simple, "This goes out to you," the five singing heartthrobs launched their "Black & Blue" show amid ear-shattering screams from a capacity crowd at the Tacoma Dome. Concertgoers, mostly teen and preteen girls, waved thousands of blue glow sticks (a pricey $8 each). "Larger Than Life," one of the group's biggest hits of the '90s, and "Shining Star" from the new "Black & Blue" album -- selling more than 8 million copies since its November release -- followed in an explosion of sound and movement. It was a fast-paced, even dazzling show, but not as exciting as the group's wildly anticipated October '99 appearance. The group's time to reinvent itself may be growing near. The Boys looked less clean-cut this time, part of a campaign to distance the group from the bubblegum image it earned in the '90s. But the tougher image nearly melted away during an overly long selection of silky ballads that included "More Than That" and "I Want It That Way." 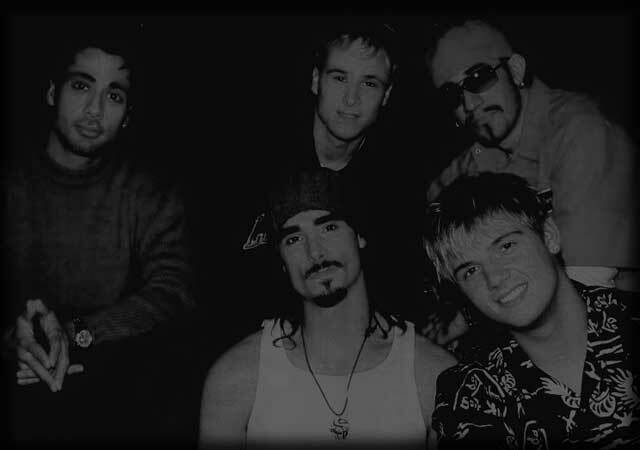 For their new album, members Kevin Richardson, Nick Carter, Howie Dorough, Brian Littrell and A.J. McLean co-wrote five songs, among them "Time" and "The Answer to Our Life." But for the current tour, the group also reached back to its self-titled debut album of the early '90s and the more recent 12 million-selling "Millennium." The song "Time" was performed on a runway that descended from the roof of the building, allowing band members to get giddily close to their nearly hysterical fans. The nearly two-hour show was overly slick and lacking in spontaneity. But there was one surprise from a group that appears so apolitical: "The Answer to Our Lives" was accompanied by an environmental video that showed the effects of tree cutting on forest animals. The Backstreet Boys perform again tonight at the Tacoma Dome. Few, if any, tickets remain. Opening act was 19-year-old singer-songwriter Krystal, signed to the Backstreet Boys' own label. Krystal proved she could really sing. When her piano broke down, she performed her final song, Michael Jackson's "I'll Be There," a cappella while technicians tried unsuccessfully to fix it. SkuBfW Your style is unique in comparison to other folks I have read stuff from. Thank you for posting when you ave got the opportunity, Guess I all just book mark this site.